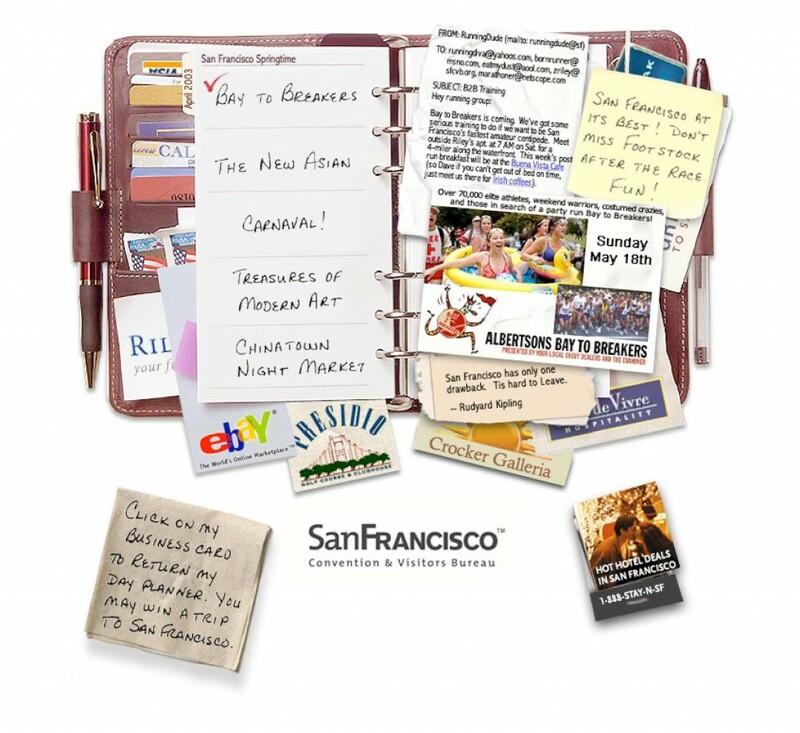 In 2003 the San Francisco Convention & Visitors Bureau had a typical problem — they’d been collecting emails for a while, but there was no program in place to send anything to them. The Bureau’s main outreach campaigns so far — print and visitor kit mailers — were fairly expensive. When the email list hit 30,000, the director looked for help to take full advantage of this valuable resource. He set a budget of $20,000 per year, including hosting, transmission, list management, sweepstakes management, and designer costs. His goal was to have an ongoing campaign that would entice people to visit San Francisco or extend their planned trip longer. 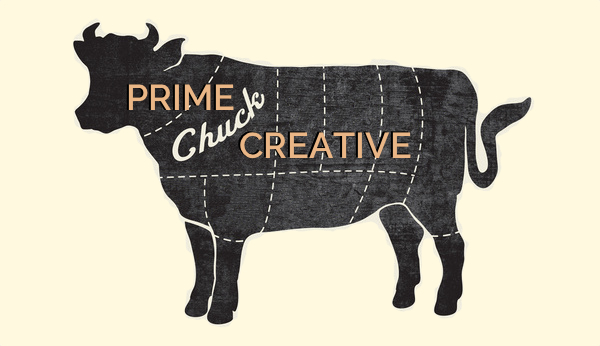 The campaign had to show a measurable economic impact or it would be shut down after a year. 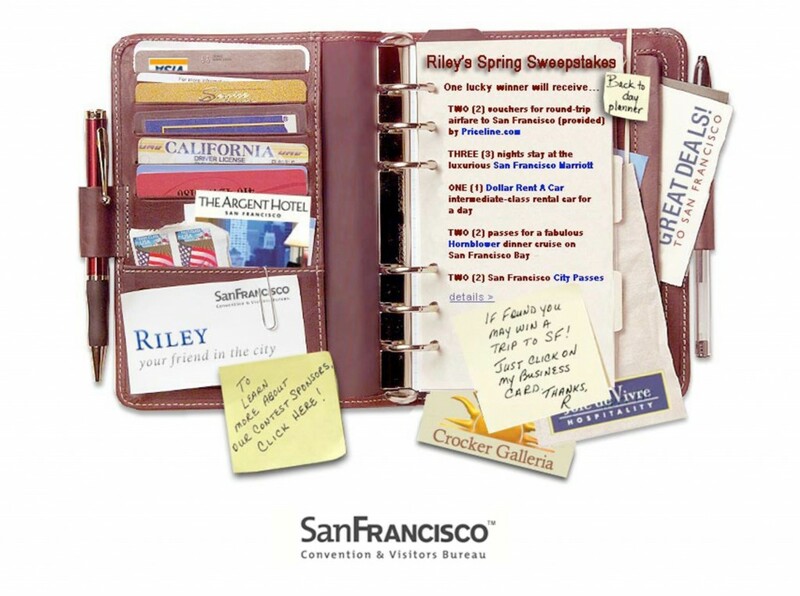 A San Franciscan named Riley has misplaced his or her day planner, and you (person on the SFCVB’s mailing list) have found it in your Inbox. You can return it to Riley, thereby engaging in conversation. You can rummage through it. The calendar has lots of “insider” knowledge and cool events planned. 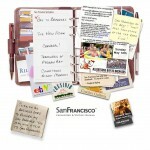 The day planner is stuffed with clickable items like business cards, securing vendor partnerships with the SFCVB. In short, the campaign was unexpected and fun. – The gross estimated economic impact was $3,720,000 for 1,627 influenced trips, wity 88% staying overnight in a local hotel. – Of questionnaire respondents, 74.1% said the email campaign had made them more likely to visit San Francisco in the future. – Click-through to the sweepstakes was 12.6%, with 82.1% signing up — 85% of those followed the suggestion to return to the day planner to find a specific factoid to include with their entry to get more chances to win. – The demographics fit the client’s goals perfectly: mean average household income of $72,073, mean age 44.9 years, 66% married, 61.3% female, living in the U.S. but outside the Bay Area. 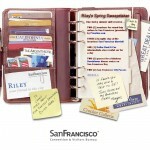 Based on the $20,000 budget, the SFCVB’s return on investment in the Life of Riley campaign was roughly 18,600%. No wonder it received California Tourism’s Best Electronic Promotion award.